Rending Volley ($0.14) Price History from major stores - Dragons of Tarkir - MTGPrice.com Values for Ebay, Amazon and hobby stores! 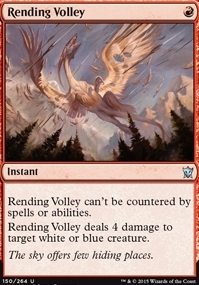 Card Text: Rending Volley can't be countered by spells or abilities. 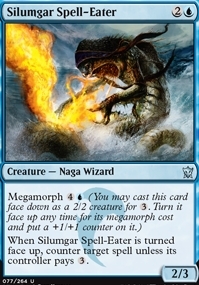 Rending Volley deals 4 damage to target white or blue creature. Flavor Text: The sky offers few hiding places.